A memorial for missing and murdered Indigenous women in Halifax made headlines last week, largely because it was interrupted by a group of five men wearing matching shirts and carrying a red ensign. Smart-phone videos of the event show the five identifying themselves as members of the Proud Boys, a far-right men’s organization founded in 2016, and disrupting the memorial by asserting that Canada is a “British Colony.” Further investigation of their social media accounts revealed the group later posed for a picture while giving a white-power salute. Since being identified as members of the Royal Canadian Navy, apologies arrived quickly from the Canadian Armed Forces (CAF), including a comment from Chief of Defence Staff General Jonathan Vance that the five could be facing a discharge. There is much to unpack from this event and subsequent discussions in the media, but the public revelation that five serving sailors are active members of a confrontational far-right organization provides a stark reminder of the CAF’s troubled relationship with racism in the ranks. The Proud Boys’ decision to disrupt a memorial for missing and murdered Indigenous women resonates uncomfortably with reports of sustained discrimination faced by Indigenous personnelin the Forces, and raises questions about the work the CAF can do to mend relations between settlers and Indigenous peoples in Canada. 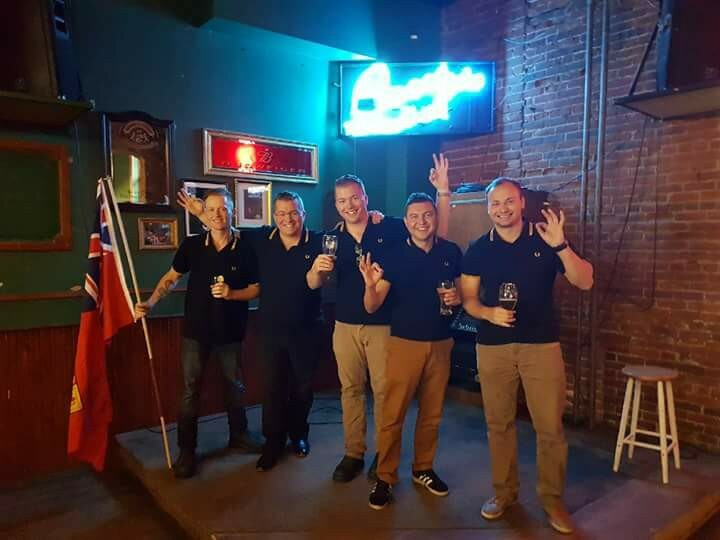 The five Proud Boys’ affinity for Canada’s British heritage certainly found a comfortable home in the recently re-branded CAF. Even without the Harper government’s 2014 decision to revert to British-pattern rank insignia, the CAF remains noticeably British in its traditions and appearance. 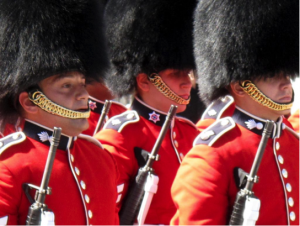 The Ceremonial Guard that parades on Parliament Hill during the summer, for example, is nearly identical in appearance to the British Guards regiments that keep watch at Buckingham Palace. The CAF undeniably traces its origin to the British Army. Can the Forces contribute to the process of reconciliation while continuing to celebrate its imperial lineage? A solution may be found in another of Britain’s settler colonies: New Zealand. The New Zealand Defence Force (NZDF) shares the CAF’s imperial origin, but occasionally catches international attention for its displays of Maori ceremony during parades or commemorative services. In 2012, a video of New Zealand soldiers performing a haka for a service member killed in Afghanistan went viral. Last year, an NZDF contingent marched down the Champs Élysées at the head of France’s July 14th parade, led by the NZDF Maori Cultural Group. 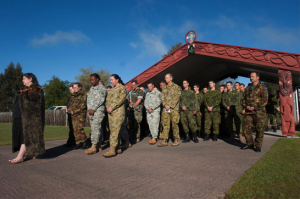 Not satisfied with this conclusion, the Canadian Forces participated in an exchange program with the NZDF to learn more about New Zealand’s approach to settler-Indigenous relations in the military. The Canadian Military Journal published a report based on the visit, which briefly outlined the NZDF Maori cultural program. The report attributed the high enlistment of Maori service personnel to the NZDF “Maori identity,” which allows Maori personnel to maintain their culture after joining the military. Arguing that a minority group can only assert itself once it has reached a certain size, relative to the majority, the report recommended programs to promote Indigenous enlistments by creating a more accommodating setting for Indigenous recruits in the Forces. When the report was published in 2007, such programs were already underway in Canada. Besides these programs, the CAF began allowing Indigenous personnel to display parts of their culture while in uniform. Dress regulations allow Indigenous servicemen to keep a braid and Métis members can wear a sash when attending cultural ceremonies in uniform. Two First Nations service members created the Aboriginal Eagle Staff in 2002, and service personnel can request to carry the staff at military or public events. These initiatives assist Indigenous recruits’ transition into the military and encourage Indigenous personnel to maintain cultural practices during their service. The actions of the five Proud Boys and the reports of discrimination against Indigenous personnel, however, reveals that accommodating Indigenous cultures in the CAF only addresses half the problem. A closer examination of the NZDF reveals that reconciliation in the military is more than the result of a strong recruiting effort or outward displays of Maori ceremony. While the report in the Canadian Military Journal contained some basic errors, its focus on recruitment overlooked the work undertaken to create deeper cultural change in the NZDF. In 1995, the New Zealand Army built its own marae as part of a wider NZDF strategy to provide Maori cultural training for all of its members throughout their career. From basic training to senior staff courses, members of the NZDF are taught a corresponding level of te reo Maori and tikanga. For Pakeha personnel to perform a haka or powhiri might border on cultural appropriation, but Maori Cultural Advisors work against this by teaching the meaning and protocols behind each ceremony. Arguably the most notable quality of these programs is the way NZDF personnel are taught. While European methods of teaching seek to transfer knowledge from one to another – in the way CAF programs for Indigenous youth intends to impart skills and knowledge that benefit Indigenous communities – the NZDF approach to Maori cultural training sets out to teach by cultivating mutual respect between settler and Indigenous personnel. As the CAF expands its efforts to attract and retain Indigenous personnel, the NZDF cultural training program shows that Indigenous culture plays an important part in the process of reconciliation. While their programs are not perfect, the NZDF success in building mutual respect between Maori and Pakeha shows that military forces in Britain’s settler colonies can practice traditions outside of their imperial lineage. One Pakeha member observed that “without the bicultural policies in place, the NZDF would still be like the British Army.” Maori ceremony became a source of pride for all members of the NZDF and this example provides a guide for the CAF to move beyond its efforts to accommodate and acknowledge Indigenous personnel and to institute broader programs that build a shared respect for Indigenous culture. The positive response to cultural training in the NZDF shows that military tradition need not play into the assumptions of socially-conservative chauvinist Anglophiles such as the five Proud Boys. Grazia Scopio “Indigenous Peoples in the New Zealand Defence Force and Canadian Forces” Canadian Military Journal, vol 10 (4): 38-39, 43, http://www.journal.forces.gc.ca/vol10/no4/doc/07-scoppio-eng.pdf (accessed 8 July 2017). Caroline Massicotte “The Defence Aboriginal Advisory Group celebrates 20 years of accomplishment,” Canadian Army website, http://www.army-armee.forces.gc.ca/en/news-publications/national-news-details-no-menu.page?doc=the-defence-aboriginal-advisory-group-celebrates-20-years-of-accomplishment%2Fiaiiqi8j (accessed 8 July 2017). For example, the report describes Métis simply as “mixed-race” and states that Maori arrived in New Zealand around 800 AD, Scopio “Indigenous Peoples,” 39, 41. Most academic sources agree that migration from Polynesia began around 1200 AD (roughly 800 years ago), Michael King, The Penguin History of New Zealand, (Penguin Group: Rosedale NZ, 2016), 8. A communal meeting place, often the traditional seat of an iwi or sub-iwi. The common language spoken by Maori. Broadly defined to include culture, customs, tradition, and etiquette. New Zealander of European descent. Debbie Hohaia “In search of a decolonised military: Maori cultural learning experiences in the New Zealand Defence Force,” Kotuitui: New Zealand Journal of Social Sciences Online, Vol. 11(1): 52. Anna Harpe “Appreciation and Respect: Understanding the Decision to Join the CAF after Black Bear Program using Four Directions and Mixed Methods,” MSW Thesis: Laurier University, 2017, 59-60. Hohaia, “In search of a decolonised military,” 52. Hohaia, “In search of a decolonised military,” 49.